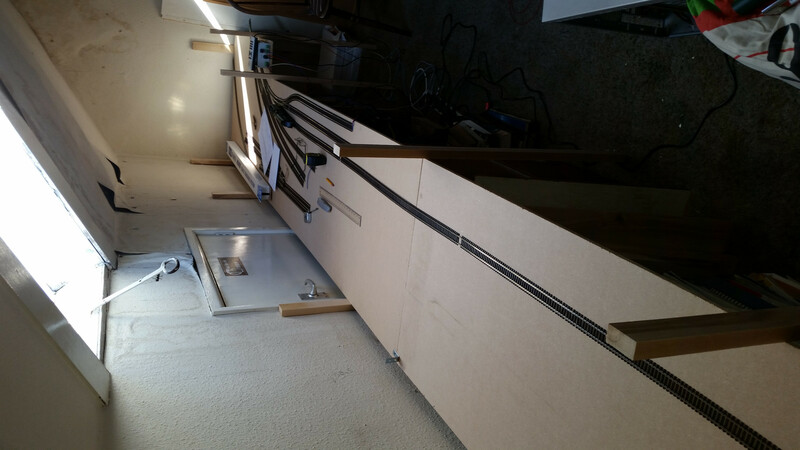 This entry was posted in Model Railway on 17th February 2016 by abadmin. 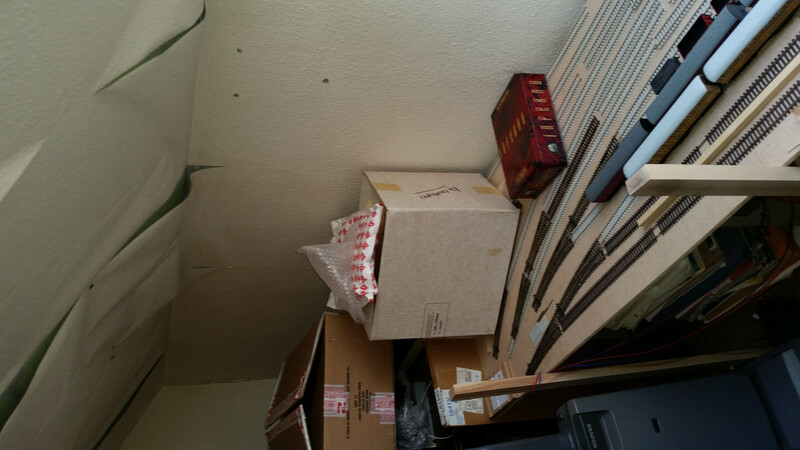 In August 2015 I, somewhat stupidly, made a £50 bid on a Hornby OO gauge model of 60022 Mallard (because that’s the model I had when I had a small 10′ x 9′ layout as a teenager) . 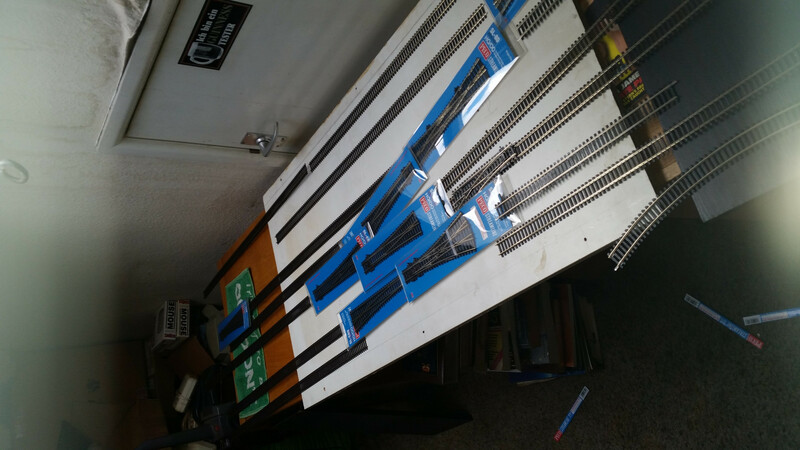 . . . . Well, I won the bid and became the proud owner of a brand new loco . . . . with no track to run it on!! 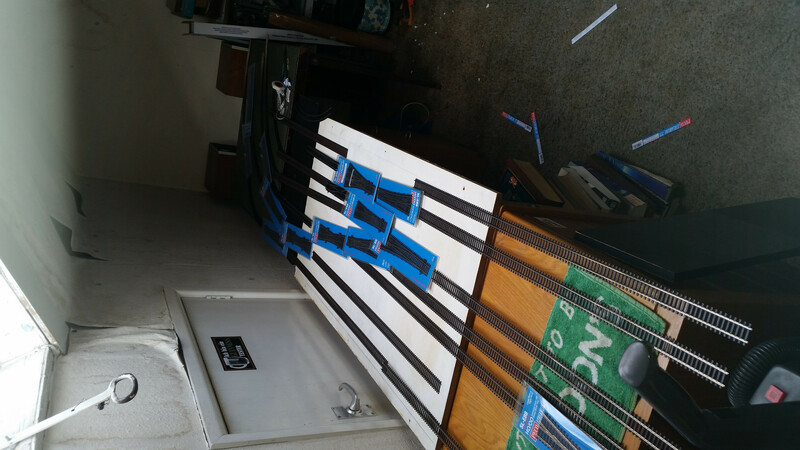 Back as a teenager, I was constantly frustrated at not being able to afford even the smallest pieces of rolling stock and other equipment and materials I needed to fulfil my childhood dreams. 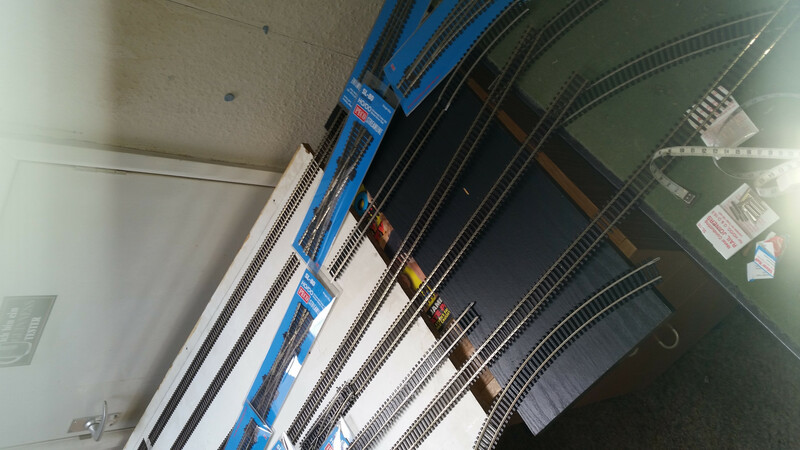 I susbsequently made a bid, and was successful in winning another Hornby set, containing the Flying Scotsman (4472), 3 teak coaches and an oval of track, which, upon delivery, I set up on my lounge floor and got it running round and round and round. 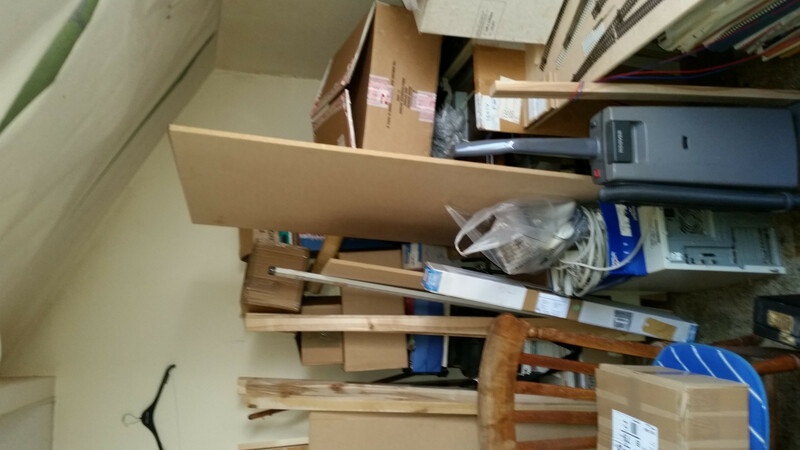 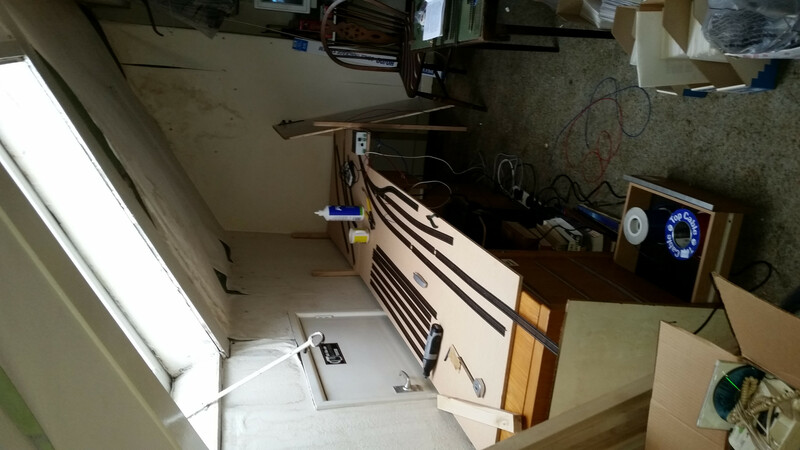 . . . . My mind went into overdrive – I rekindled the aspirations I had had ever since I moved into my current home back in the 1980’s, of having a model railway layout in my attic. 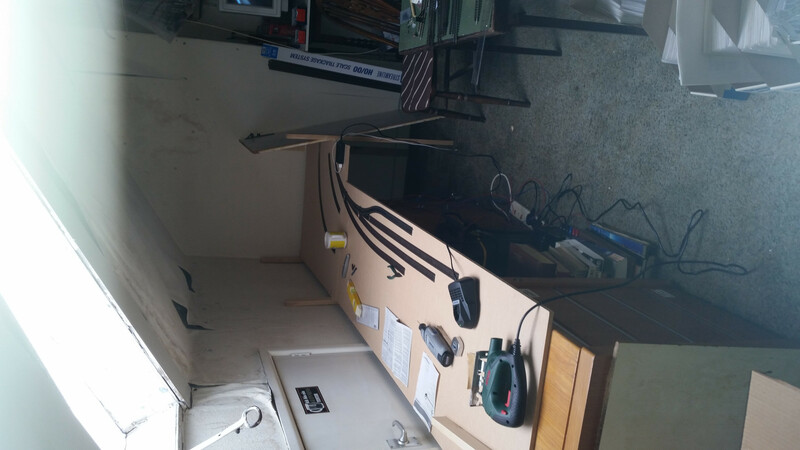 On and off, I had always been making rough sketches of layouts that I could potentially have in the 18′ by 9′ space, while still being able to actually get into the room. 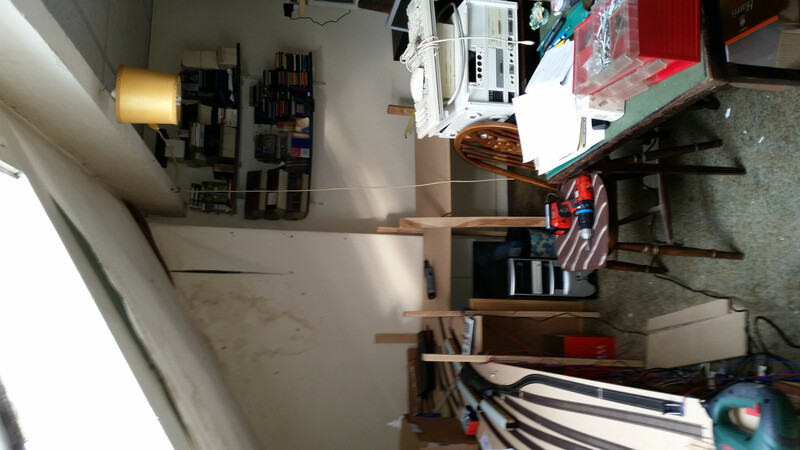 Check out my Model Railway Project section which contain a photo-history of the progress.